Following up on our book American Cinematographers in the Great War now and again new stories are discovered. Recently we found an interesting newspaper article on Ansel E. Wallace, newsreel cinematographer for William Randolph Hearst who went to Europe in December 1914 and shot film at the Eastern Front with the German army, covered the submarine warfare on the English Channel and later went to Italy shortly after the country had entered the Great War. In our book we described how Wallace previously covered the Mexican Civil War for a pro-Huerta motion picture shoot. Military commander José Victoriano Huerta Márquez in 1913 during what was called The Ten Tragic Days with the help of U.S. Ambassador Henry Lane Wilson secretly plotted to overthrow the government of President Madero. Huerta established a harsh military dictatorship and under pressure by the Wilson administration and rival forces in Mexico resigned the presidency on July 14, 1914. Wallace filmed Huerta in January 1914 for the Hearst newsreels and had the nerve to make movies of the Mexican dictator while he was having a drink in a local bar. The newspaper story that we found sheds some new light on how he was released from prison. The fellow American reporter who helped him get out of jail was William G. Shepherd. 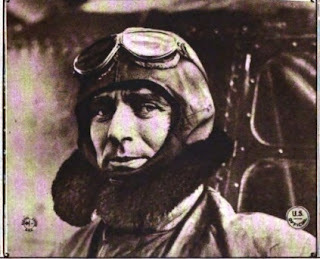 In 1915, during his stay in Europe, Wallace met Shepherd in Germany, Paris and Rome. As a matter of fact, United Press correspondent William Gunn Shepherd (1878-1933) proved to be a notable source of information during our research because of his book Confessions of a War Correspondent (1917). As a neutral correspondent, Shepherd had the opportunity to cover the Great War from the perspective of the Entente as well as the Central Powers. His memoirs contain interesting inside information on how correspondents from America were manipulated by the press censors of the warring nations in Europe. 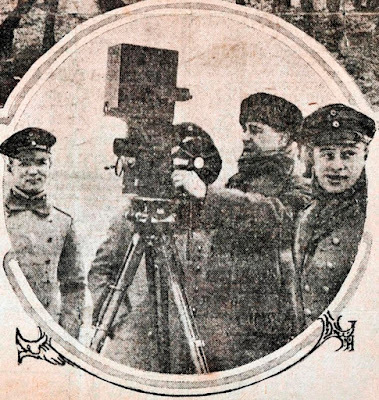 As it turns out, the interview Wallace did in 1918 after he had returned to his hometown Evansville, Indiana, indicates that he had visited Paris, both before and after Wallace had covered the war in Italy with his movie camera. This is something that we couldn't establish while researching our latest book. We have posted before in this weblog on Wallace's film work during World War I. Here is a earlier post on his experiences covering the war in Italy in 1915. For those interested in Shepherd's newspaper work during World War I here is a download link to his book Confessions of a War Correspondent. The newspaper story from the Evansville Press of March 23, 1918, on Wallace's wartime experiences - his first name is misspelled - can be read here. Since starting this weblog a lot of fascinating World War I footage has been found which could be identified to one of the film correspondents described in our book American Cinematographers in the Great War. Here is a compilation of some of these films. Contemporary music - Gustav Holst's Mars, composed at the outbreak of World War I - has been added to this clip. Enjoy! When in 1913 the Mexican Revolution hit the headlines many cameramen from the United States flocked to the country. To satisfy America's public demand for coverage the Newspaper Enterprise Association (NEA) sent Wilbur H. Durborough to join Pancho Villa's army. As described in our book American Cinematographers in the Great War, Durborough became quite friendly with Villa and obtained some excellent pictures of Villa's troops. Villa became Mexico's first superstar when in 1914 he signed a movie contract with Mutual, agreeing to keep other film companies from the battlefield and to fight in daylight wherever possible. Despite all exclusive provisions this did not deter other film companies such as Pathé and Universal to try to cover Villa's army. The list of newsreel men, photographers and cinematographers who crossed the Rio Grande and entered Mexico at this period is long and impressive. 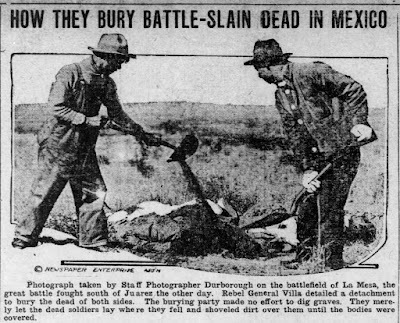 In fact, the Mexican Revolution turned out to be a training ground for many cameramen who soon afterwards went to Europe to film the Great War. Despite excellent research on this subject, notably by Mexican film historian Margarita de Orellana, some tantalizing new pieces of information on this remarkable episode in film history are still being discovered. Recently we found a photograph on eBay which has an NEA stamp on the backside and is dated July 16, 1914. The caption says: "Durborough in Mexico". 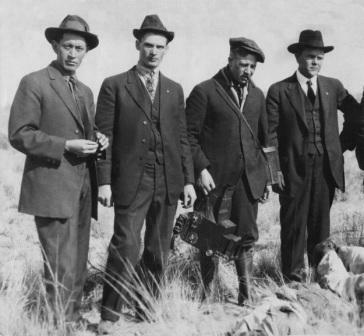 The picture shows Durborough holding his Graflex camera, together with three men looking at what appears to be a corpse. We haven't been able so far to identify the other men, except for Arthur Ruhl who was a reporter for Colliers and the New York Tribune. 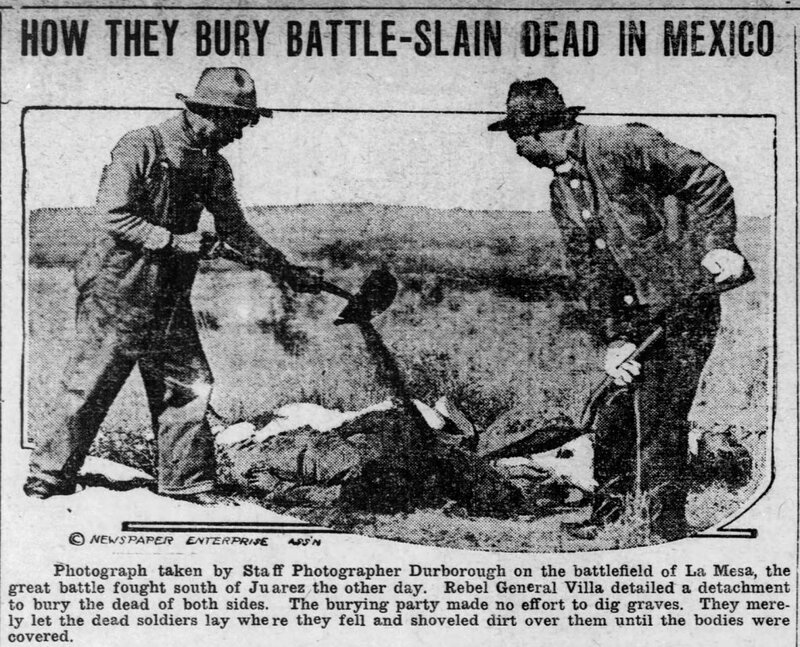 Ruhl was with Durborough when the U.S. Marines landed at Vera Cruz and attacked the waterworks at El Tejar. The picture may have been taken at this occasion. When Durborough first went to Mexico he also had his picture taken together with Pancho Villa. Mexican historian Luis Arturo Salmeron recently posted this photograph on his Twitter account. The photograph was taken by Otis A. Aultman, another interesting figure who had gone to Mexico at the time. Aultman was born in 1874, in Holden, Missouri. As a young man he learned photography from his older brother. In 1908, after a divorce from his wife, he moved to El Paso. There he first worked for Scott Photo Company and later started his own firm. Aultman was a man in the right place at the right time. He photographed the battle of Casas Grandes, the first battle of Juárez in May 1911, and the Orozco rebellion in 1912. He was a favorite of Pancho Villa, who called Aultman "Banty Rooster" because he was only 5'4" tall. Aultman worked for the International News Service and Pathé News and experimented with cinematography. In 1916 he appears to have been one of the first photographers to arrive at Columbus, New Mexico, after the famous raid on that town by the Villistas. The website of the El Paso Historical Museum has more information on Aultman. 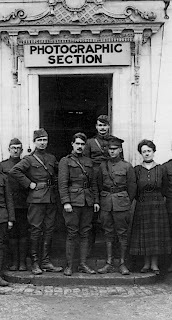 When the United States entered World War I photographic field units were assigned to each division of the American Expeditionary Force. The authors recently came across more information on these military cameramen. We even recognized some familiar faces of two American "star" photographers who went over there to cover the Great War and get the picture. The pictures that we found are from the website of the National World War I Museum and Memorial. These pictures were taken between August 1918 and January 1919 and show the official photographers of the 35th Division, American Expeditionary Force (A.E.F.). Built around a nucleus of Nebraska, Kansas and Missouri National Guard units, the 35th Division trained for World War I in the vicinity of the old Sante Fe trail, and therefore adopted the insignia which represents the Sante Fe Cross. The 35th Division landed in France on May 10, 1918. After training a few miles from the hard-pressed British line near Amiens the Division was sent to a quiet sector in the Alsace. It was in this area near the German border that this picture above was taken. Motion picture cameraman Thomas J. Calligan - his name was misspelled in the caption - is also in a picture from October 1918. This photograph was taken shortly after the 35th Division had to be taken from the line at the battle of the Meuse-Argonne. Because of a combination of incompetent leadership, inexperienced soldiers and having to fight superior troops of the Prussian Guards the 35th Division collapsed, suffering 7,300 casualties. We will return to this sad episode in an upcoming blog. On October 18, 1918, Private Thomas Calligan cranked a Bell & Howell 2709 movie camera at Sommedieu near the Verdun frontline. His photographic officer directing this scene was Lt. Edwin F. Weigle. Together they filmed their divisional commander, Major-General Peter Traub. Weigle's film adventures during World War I have been described in more detail in our book American Cinematographers in the Great War. Edwin Weigle was a news photographer who worked for the Chicago Tribune. After the outbreak of war he filmed in Belgium, Germany as well as on the western and the eastern front. Until January 1919, Weigle was the photographic officer of the 35th Division and in command of his team of camera operators. 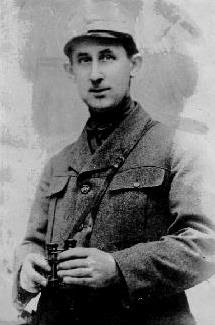 Weigle was also one of the first cameramen assigned to set up the photographic division of the U.S. Army Signal Corps in 1917. Here is a picture showing how Weigle and Calligan took Major-General Traub's picture. On the very same day, Calligan also took this picture of General Traub inspecting their movie camera together with Weigle. Weigle stayed in France until February 1919 and arrived back in Chicago as a Signal Corps Captain in June 1919. When he left a new photographic officer was assigned to the 35th Division. And here we have another familiar name. The new lieutenant in charge of Weigle's photographic team was Adrian C. Duff. Nicknamed "The Camera Kid" because of his youth, Duff made national headlines in February 1912 when he got in a plane with aviator Frank T. Coffyn and for the first time in history photographed New York City from above. Like his colleague Weigle he had covered the attack by the U.S. Marines on Vera Cruz in April 1914, as well as the German bombardment of Antwerp later that year. Duff died in a tragic car accident in New York City shortly after the war. Here is a link to a previous weblog on Duff's extraordinary life and work. We have uploaded all photographs showing these cameramen of the 35th Division on this Flickr picture album. 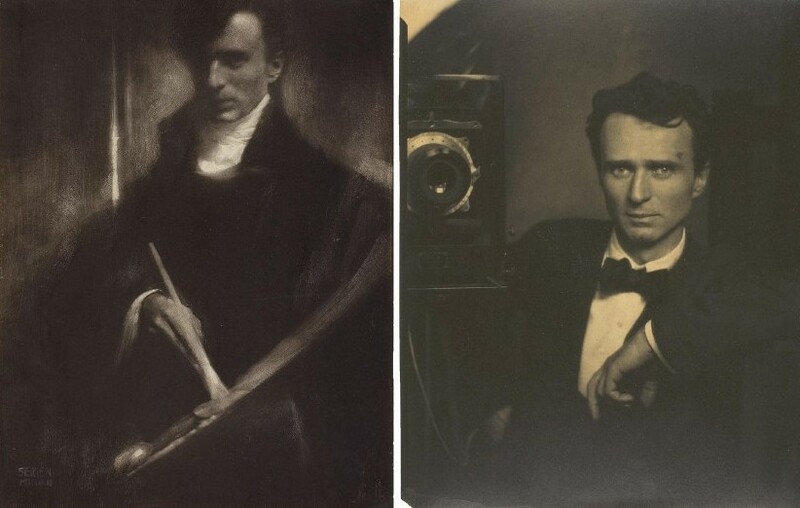 The first modern fashion photographer, best known for his shadowy portraits of movie stars like Gloria Swanson, Marlene Dietrich and Louise Brooks, Edward Steichen (1879-1973) hardly needs an introduction. 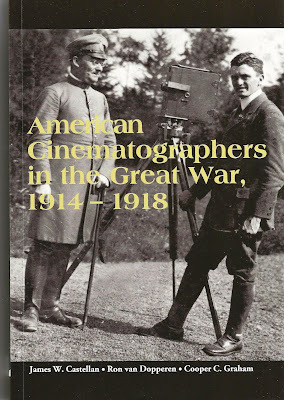 We mentioned Steichen briefly in our book American Cinematographers in the Great War, because he was in 1917 one of the first cameramen to join the U.S. Signal Corps when America entered the Great War. As mentioned before in an earlier weblog, when Steichen joined the Signal Corps he initially worked with Albert K. Dawson and Edwin F. Weigle, two war photographers who had been with the German and Austro-Hungarian army before the United States entered the war. In his autobiography A Life in Photography, Steichen described how in July 1917 he entered active duty with the goal of becoming “a photographic reporter, as Mathew Brady had been in the Civil War”. He quickly abandoned this romantic notion to help implement the newest weapon of war, aerial photography. While on military duty in France, Steichen helped adapt aerial photography for intelligence purposes, implementing surveillance programs that had a lasting impact on modern warfare. From June until October 2014 the Art Institute of Chicago held an exposition on Steichen's photographic work during World War I. Focusing on rarely seen Steichen photographs drawn from the Art Institute’s collection, this exhibition included a unique album of over 80 World War I aerial photographs assembled and annotated by Steichen himself. As these pictures show, Steichen's personal and professional experiences during the Great War contributed in developing a more crisp photographic style. Although the exposition has been closed his work for the U.S. Signal Corps in France can still be seen online at the website of the Art Institute of Chicago. 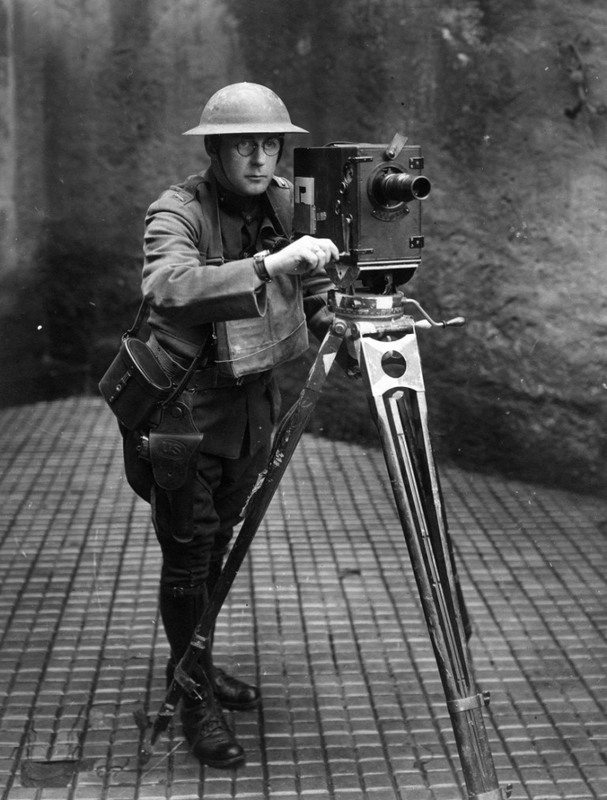 In 2015, the book Camera Aloft: Edward Steichen in the Great War appeared. Author Von Hardesty in this book described how Steichen volunteered in 1917 to serve in the American Expeditionary Forces (AEF). He rose rapidly in the ranks of the Air Service, emerging as Chief of Air Photography during the dramatic final offensives of the war. Here is a presentation on this remarkable book by researcher Gene Eisman. 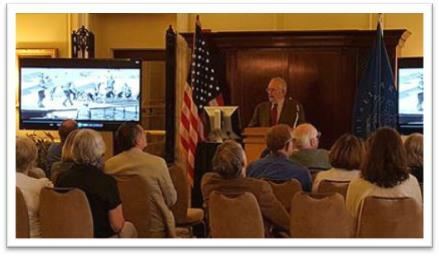 On June 7, author Cooper C. Graham presented a selection of some of the finest World War I films from the nitrate vaults at the Library of Congress. Digitally preserved from rolls of 35mm nitrate film stock, much of this historical footage has never been seen in nearly 100 years and was found during the research for our book American Cinematographers in the Great War. The Library of Congress has an extensive film collection on the Great War. There are hundreds of reels of U.S. Signal Corps film, propaganda films by the Commitee on Public Information, as well as contemporary newsreels. Last year, Cooper Graham was asked to make an inventory of the huge number of films at the Library dealing with America's entry into the World War in 1917 for a digitization project. The results are by no means complete, and much remains to be done. A former film curator at the Library of Congress, Cooper was familiar with the collections. With the centennial of World War I the time had come to share some of his World War I film discoveries. Cooper's lecture World War I in Motion was well received by the audience. All chairs at the Whittall Pavillion of the Thomas Jefferson Building (Library of Congress) were filled, with about a third Library of Congress staff. During his talk Cooper discussed selected clips from one of the most interesting film collections at the Library of Congress: the John E. Allen Collection. This collection of ten million feet of nitrate film is one of the most important of its kind. It contains World War I and World War II era actualities, dramatic pictures from the sound era, quite a number of unique silent films from the New York area studios and the “all-black newsreels” from the 1940s. Together, these collection holdings are of inestimable research value for historians, scholars and educators across the country. The World War I footage in this collection is of particular interest. While researching the American film cameramen of the First World War we were able to find many scenes shot by these cinematographers in this specific collection, notably newsreels taken by Ansel E. Wallace and Ariel L. Varges for the Hearst organization, as well as scenes shot by cameraman Albert K. Dawson for the American Correspondent Film Company, and an amazing sound rerelease of Frank E. Kleinschmidt's film War on Three Fronts (USA, 1916). To commemorate the centennial of America's entry into the First World War the Library of Congress has opened the exhibition Echoes of the Great War: American Experiences of World War I. Much of the film that is shown at this exhibition comes from the John E. Allen Collection. Here is a link to the online exhibition on the website of the Library of Congress. Would you like to know more about Cooper's film research and publications? Here is a link to his personal website. On June 14, 1917, - almost one hundred years ago - the Fifth Regiment of the U.S Marine Corps left New York harbor. True to their reputation the Marines were in the first wave of American soldiers sailing to Europe. On board was official cameraman Leon H. Caverly. Caverly was by all accounts the first cinematographer to film the Great War with the American forces in France. We were extremely fortunate in having found Caverly's personal papers describing his experiences as a war photographer. Based on his letters from the front, as well as numerous photographs and films taken by Caverly, we were able to reconstruct his extraordinary life and work as an official cameraman with the U.S. Marine Corps and the 2nd Division of the American Expeditionary Force. Caverly's story presents an interesting case study on the military cameramen who covered World War I. Our article on Caverly will be published in an upcoming issue of the Historical Journal of Film, Radio & Television. 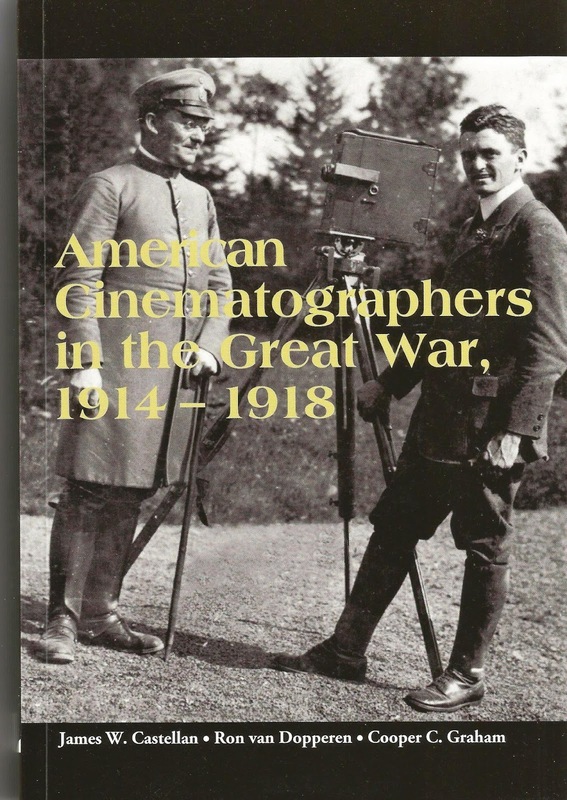 Book Review "American Cinematographers in the Great War"
We were pleased to receive a copy from our publisher John Libbey of a review by the Society for German-American Studies on our book American Cinematographers in the Great War. Reviewer Petra DeWitt described our publication as a "fascinating yet overly detailed study of previously unknown photographers who overcame military opposition, government censorship, and the dangers of battle to record still and moving images of the war and in the process revolutionized journalism." DeWitt continues to say that the book is of special interest because of the chapter on the publishing tycoon William Randolph Hearst and his role in sending American cameramen to wartime Europe for the purpose of bringing back newsreels and images that would attract paying customers to movie theaters and subscribers to his newspapers. In the final lines the review concludes: "This study is a must-read for journalism majors and historians of photography or film. The general reader, however, may at times have difficulties following the detailed biographical information interwoven into descriptions of events and evaluations of movies. This work, nevertheless, contributes greatly to the history of propaganda during World War I." Thank you for this review! Admittedly, our book does go into some detail, but we wanted to reconstruct this story on how the First World War was filmed by these pioneering cameramen from the United States as truthfully as possible. The full book review can be read and downloaded here.